An Ichneumon wasp laying its eggs. Inside the wood is the larva of another insect, possibly a Horntail wasp. 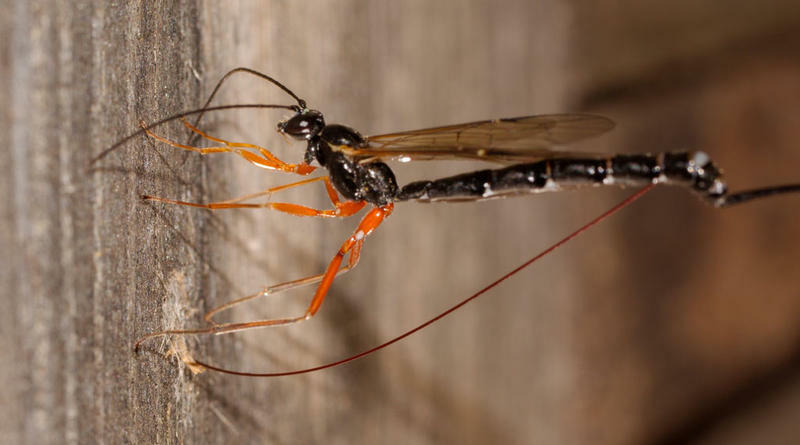 The Ichneumon Wasp lays its eggs in the larvae of other insects.